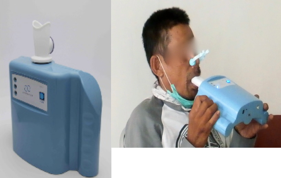 Coronel R, Rodríguez M, Jiménez N, Bruins M, Gómez R, Yntema JB, Chaparro G, Gerritsen JW, Wiegerink W, Pérez D, Magis-Escurra C. The potential of a portable, point-of-care electronic nose to diagnose tuberculosis. Journal of Infection, August 2017. 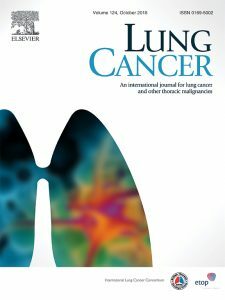 Coronel R, IJdema D, Fretes J, Gómez C, Arce D, Gerritsen JW, Aguirre S, Gonzalez F, Chaparro G, Jiménez N, Pérez D, Magis-Escurra C. prevalencia de la tuberculosis en una población indígena del paraguay con la nariz electrónica (indipanose), ALAT Conference, Santiago (Chili), July 2016. 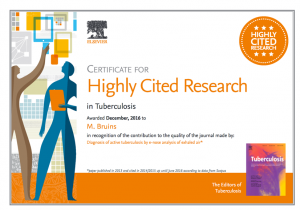 The editors of Tuberculosis are delighted to inform you that your paper, Diagnosis of active tuberculosis by e-nose analysis of exhaled air, published in 2013, is one of the most highly cited papers during 2014 and 2015. We would like to take this opportunity to thank you for publishing with us, and congratulate you. 86 participants were evaluated in 2015, 41 patients suffered from pulmonary TB and 45 were healthy controls. 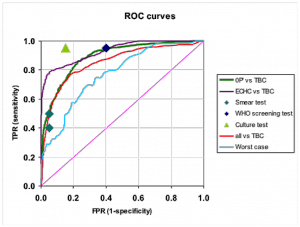 Preliminary analyses show sensitivity of 93% and specificity of 89 %. 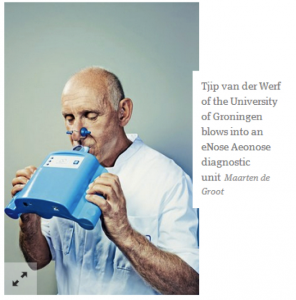 EP-212-0: A new tuberculosis-screening tool: a hand-held electronic nose. A cross-sectional field study in Indonesia by A.M. Saktiawati et al. 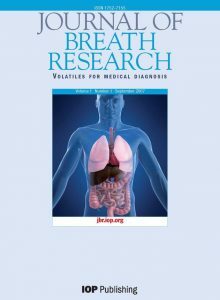 87 participants from 5 groups (20 TB patients, 20 TB suspects who were later diagnosed as non TB, 20 non-TB patients, 20 healthy matched controls, and 7 MDR-TB patients) have been investigated showing a sensitivity of 92% and a specificity of 88%. More participants are being included. TB study in Venezuela has started! 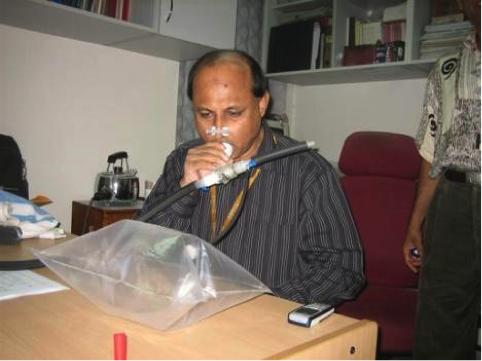 Recently, a study has started for evaluating the Aeonose for diagnosing tuberculosis in the Warao Amerindian population in Venezuela. This population has a high adult and pediatric TB prevalence (comparable to epidemic regions in Africa). At the same time, HIV prevalence is high as well among adults in some villages (up to 20%). 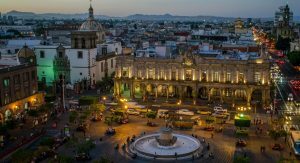 The study is being coordinated by Dr. Jacobus de Waard, Head of the Tuberculosis Laboratory, Universidad Central de Venezuela. 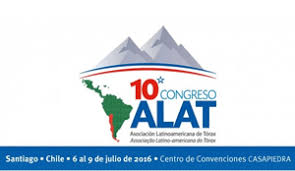 In December 2014, the study was mentioned in a local newspaper in Caracas, Venezuela. 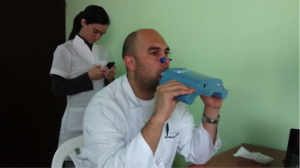 After developing a calibration model for TB in Venezuela, the Aeonose will be evaluated during a blind study. 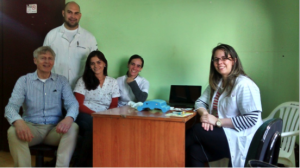 TB study in Paraguay has started! 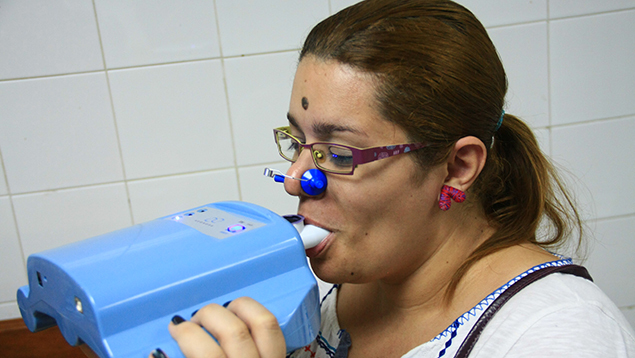 A TB study focusing on extra-pulmonary tuberculosis has just started at Instituto de Enfermedades Respiratorias y del Ambiente (INERAM) in Asuncion, Paraguay. The study is being coordinated by Dr Cecile Magis and Dr Jan-Bart Yntema from Radboud University, Nijmegen, The Netherlands. First, they will include pulmonary-TB patients and healthy controls in order to build a TB-model for Paraguay. It is important to know if this TB-model differs from models being recorded elsewhere in the world. Next, they will include extra-pulmonary TB patients as mentioned before.